As one of the area’s most recognized family-run agencies, Florian Insurance Inc. is proud to serve the diverse insurance needs of individuals, families and businesses. From an affordable car insurance rate to something as distinct as flood insurance— we strive to provide our customers with the leading coverage and protection they need and deserve. At Florian Insurance Inc. we take the time to truly recognize your insurance needs so that your biggest assets are protected at the most competitive rates—and most importantly, our comprehensive solutions cover a wide range of risk. 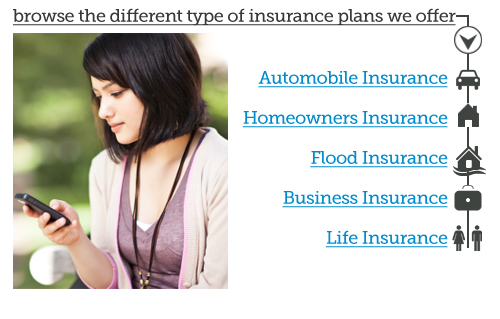 So whether you’re looking for comprehensive home insurance, a reliable auto insurance policy or even a specialized flood insurance package—rest assured, we’ve got your coverage needs under control. We offer all of the knowledge and expertise you would expect from a long-standing, community-centered insurance agency. Florian Insurance Inc. wants to be your insurance provider and ally. Our in-depth experience has enabled our dedicated agents to manage multiple policy lines all while saving you both valuable time and money.